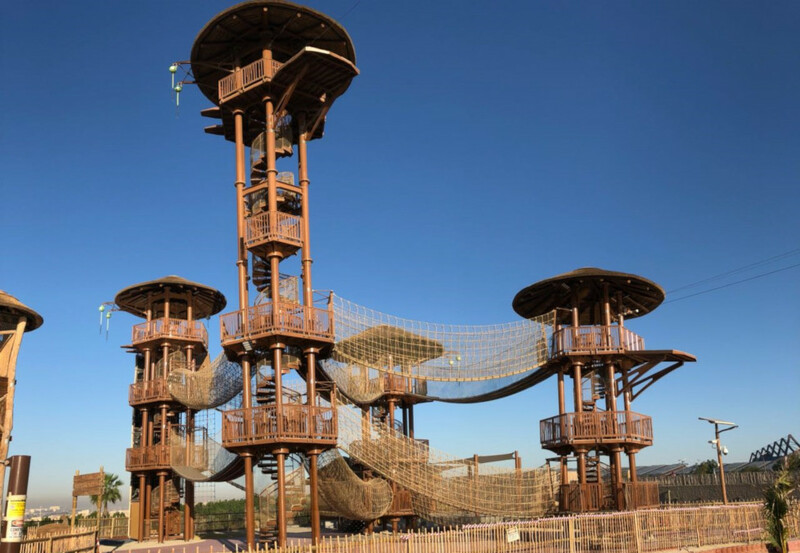 This system’s unique design raises the challenge of high ropes courses to exhilarating new heights. 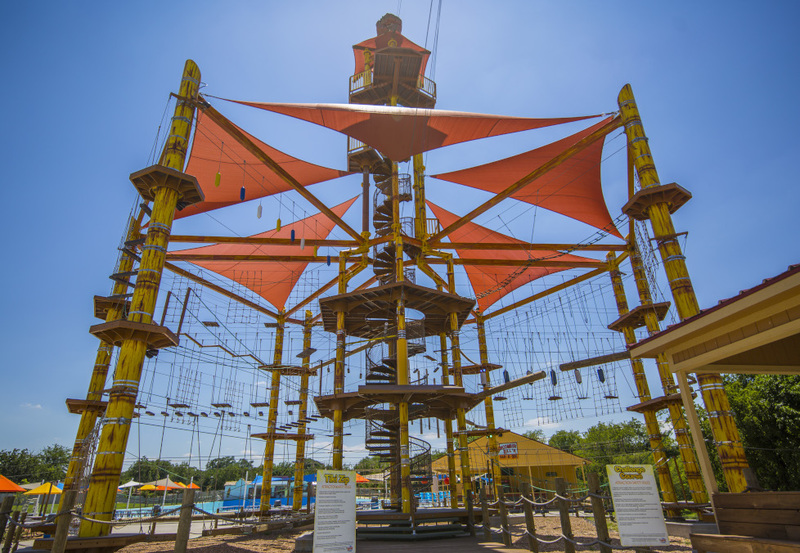 As a leading belayed rope course manufacturer, Soft Play® can custom-design for your one-of-a-kind aerial adventure course that provides a wide range of difficulty levels, lowers operating and maintenance costs and strategically adds breathtaking new features for all ages. Why Choose Adventure Playground Equipment? 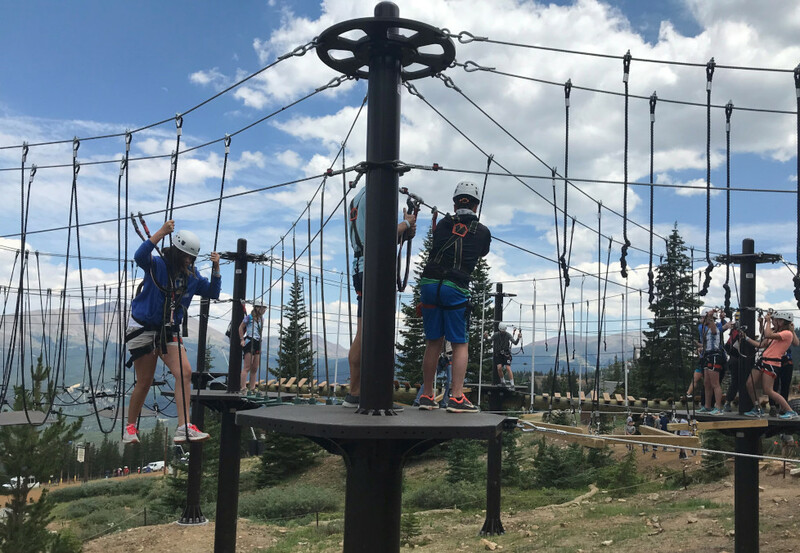 Attract more families to your business: From malls and museums to amusement parks and resorts, businesses of all types will enjoy the increased foot traffic our ropes courses provide. 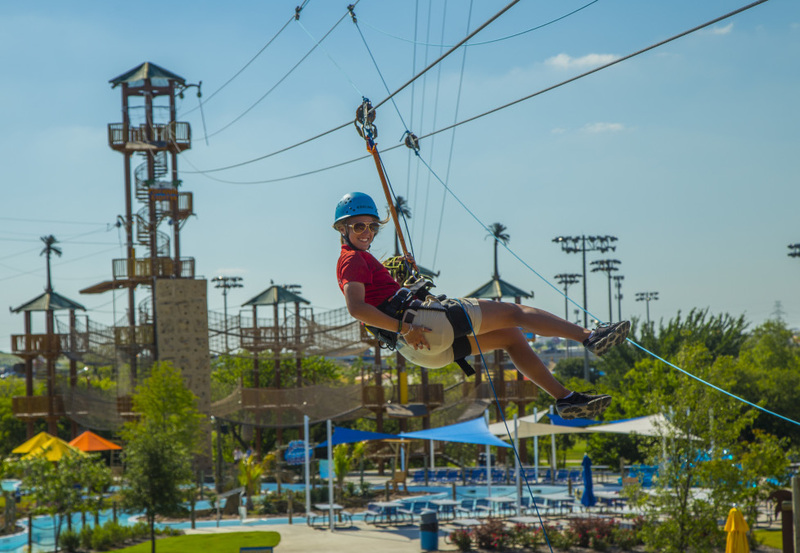 Nothing attracts guests like a bright, fun-looking adventure course the whole family can enjoy together! Set yourself apart from the competition: Stand out from the crowd with a distinct advantage that will keep patrons coming back again and again. Not every business offers such an exciting attraction, so it will surely get people talking. Maximize profits: We manufacture our courses and harness equipment using premium materials that are built to last for years, which makes them a worthwhile investment even for businesses on a budget. Many of our clients see so much repeat business that our equipment ends up paying for itself — and then some! Promote active play: We believe that active play is essential for health and development, and we offer the solutions to get thrill-seekers of all ages and physical abilities up and active. Our innovative ropes courses with harnesses are so much fun that kids won’t even realize they’re actually exercising. If you’re looking to maximize your profits and provide an incredible experience your guests won’t soon forget, look no further than Soft Play — the industry’s leading high ropes course manufacturer — and our tailored belayed rope course solutions. We offer state-of-the-art, customized designs that meet both your spacing needs and your budget. So no matter the type and size of your business, you can enjoy the benefits our equipment offers. To transform your business and provide an unforgettable, design-driven adventure for guests, contact our specialists today to request a Soft Play design consultation.